© Jeff Allen What's your MPG? Except for the nerdiest, least-involving super-efficient hybrid automobiles, few vehicles can hold a candle to even the average motorcycle’s fuel efficiency. How good is your bike’s? Easy to tell; all it takes is a little forethought. All the bikes we know of have a tripmeter, a simple, resettable mileage counter. Get in the habit of resetting the tripmeter every time you fill the tank. First, you will have a running total of the miles traveled on the tank, a useful feature if your bike doesn’t have a fuel-level gauge. (Many don’t, just a low-fuel light that comes on with about 20 percent of the capacity remaining; that’s usually a gallon or just a tad less.) As you get more time with your bike, you’ll be able to predict when you’ll need fuel just by the miles traveled since the last fill-up. Second, you can run the simple calculation to see just how good your mileage is. Miles traveled divided by fuel used equals miles per gallon. Sure, that’s easy, but there are some other variables to keep in mind. 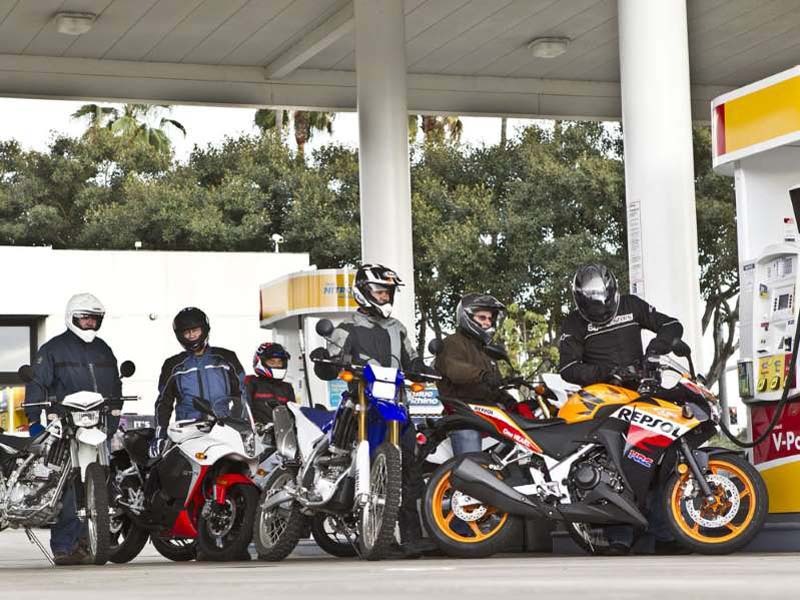 Try to refuel the same way each time—filling the tank to the same point, on level ground and on either the sidestand or centerstand every time.